It’s official, Tom Selleck fans, now is finally the time to put your stubble where your mouth is and try on the manliest face mask available: the moustache. While the grooming world has been happy to pay lip service to beards for over a decade, this season it’s the turn of nose curtains to have their moment. Which is why we’ve put together a comprehensive guide to growing your own mo’, from picking the right style for you to maintaining the beast. So, if your idea of manual labour is chopping veg without the need for a blender, but you want to at least look like you know your way around a tool shed, this is how. Until recently, the moustache was a relic of its time. A trend started by King Charles in the early 1600s, rakish whiskers once adorned the faces of men across the globe, reaching their heyday in the 1930s and ‘40s, with leading men such as Clark Gable and Errol Flynn opting for one both on-screen and off. Spurred by Hollywood and the appeal of the armed forces — British troops were at one point all required to sport one as part of their uniform — the look filtered down to the general public, coming to represent hardy masculinity and a certain suavity. But along with the monocle, bowler hat and cane — items that were immensely popular in their own right once upon a time — the moustache fell out of favour in the 1980s, having been hijacked by the adult film industry. Soon enough it was seen as quaint, unnecessary and at best creepy, which begs the question as to why you’d want to grow one today. Well, like with fashion trends such as the cross body bag and bucket hat, the moustache is trending unexplainably. Perhaps it’s down to stylised films such as The Nice Guys or Netflix’s Narcos, or maybe because of the new wave of actors who’ve adopted them – Henry Cavill, James Franco; we blame you. Either way, it’s won over the style set and is now creeping down the high street, one wisp of hair at a time. So don’t let your lip get left behind. Stage 1: Can You Grow One? There are men in this world who were born to have a moustache — Hulk Hogan, for example — and those who were not. It’s important to establish early on which group your face falls into. The aim is to have as much to work with as possible before you decide on a shape or style – it’s like pruning a hedge: you wouldn’t start cutting it into a shape before the bush is a proper size. If you already have a beard, you have a head start. If you don’t, grow one. This helps to avoid that awkward in-between stage and will reveal any patchy areas that could be a problem. The main thing you need when growing a moustache is patience. Facial hair grows at a rate of about 0.4mm a day, so it can take several weeks before you’re ready to start trimming. If while growing a beard in anticipation you find that your stubble barely grows beyond 6-8mm, it’s unlikely that your moustache will be anything more than a thin line on your upper lip. If, though, you can cultivate a beard relatively easily, after a couple of weeks you’ll start to see which way the hair is growing so you can decide whether you want a toothbrush moustache (Tom Selleck), a handlebar (George V), or something else entirely. Persevere through the early awkward stages by keeping your beard neat and uniform. This will ensure your facial hair looks good even before you get to the business of crafting a moustache. Once the hairs below your nose start to descend over your upper lip, grab the clippers and trim a line to remove the strays. Or, if you would like a handlebar and the hair further up is longer, you can train it out to each side in order to maintain the length. Ideally you want the hair growing just underneath the nose to be longest so that it eventually catches up with hair on your upper lip. This is where things get serious. Where you go from here all depends on what moustache style you’re aiming for and how realistic you are being with your growth. In addition to not maintaining it, one of the biggest mistakes when it comes to lip ticklers is not choosing the right style, which will largely be dictated by your face shape. If you’re going for a ‘tache, you may as well go all out. The full moustache shows commitment, because why do things by halves? You’ll need good length here – aim for no less than 10mm – and plenty of density for it to work. You don’t want it too shaped, however – the idea is for it to look natural and borderline unruly. 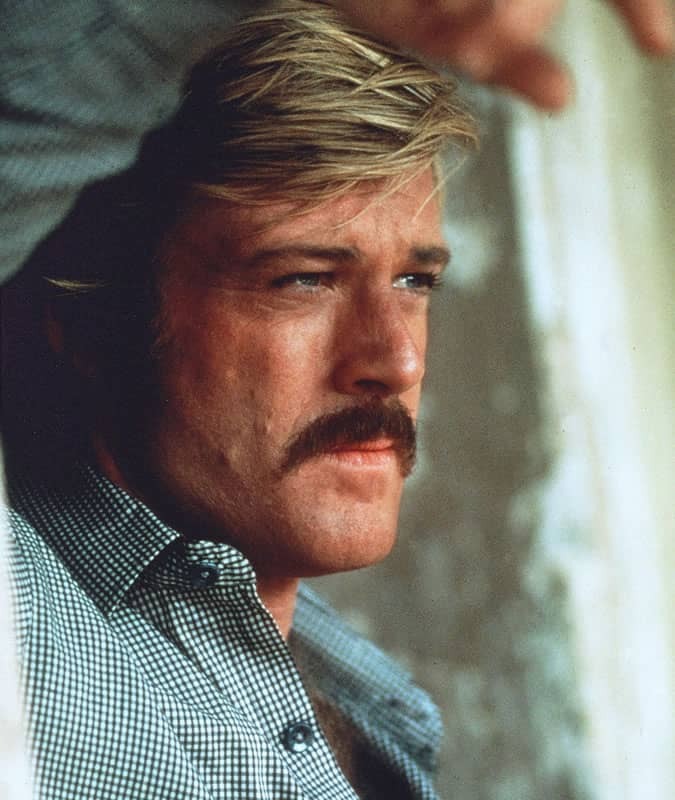 Think Robert Redford as Butch Cassidy, and you’re on the right track. Grow a beard, and then take everything down to a grade one (3mm) with a pair of clippers, but leave the moustache for a rugged look with less contrast. This is a good entry into the world of the moustache and an easy way to sample it before committing to clean-shaved cheeks. Grow stubble, then use detail trimmers to shave around a thin line of hair above your lip to achieve an elegant, refined moustache. This was the look favoured by golden age Hollywood stars, and is, admittedly, slightly more tricky to pull off today but is perfectly possible with a devil-may-care attitude. The moustache that you kind of don’t notice – it just is. There’s no dramatic shape or style here, it merely looks like it’s always been there. Wet shave your face every other day for a finer finish. Depending on the moustache style you’ve gone for, you’ll need a good beard trimmer, a pair of facial hair scissors, or a combination of the two. Just as you would with a full beard, once you’ve grown your ‘tache to the desired length, trim it every three to four days, ensuring pesky stray hairs are tamed. Always do this when your moustache is dry, as hair expands and relaxes when wet, contracting to its original length after. Sure, a moustache comb screams hipster – and we’re certainly not suggesting you use one in public – but for longer styles it’s a helpful tool, particularly for straighten out the hairs before trimming. It also comes into play when styling, allowing you to spread any wax used evenly while brushing the hairs in the desired direction. Moustache wax isn’t a necessity, but it will add definition to your ‘tache and give the individual hairs a healthy looking sheen. It’s always wise to start with a small amount, working the product through with a comb, and adding more if needed. Go overboard, and your lip appendage will look greasy and weighed down. Just as you would with a beard, or indeed the hair on your head, it’s important to shampoo and condition your moustache regularly. Facial hair is coarse and can become dry if ignored. You should also look after the skin underneath – for shorter styles apply moisturiser to nourish the skin, and with longer moustaches use a beard oil, which will seep through the hair where a thicker moisturiser wouldn’t. Above all, keep it clean. Hair likes clean skin.